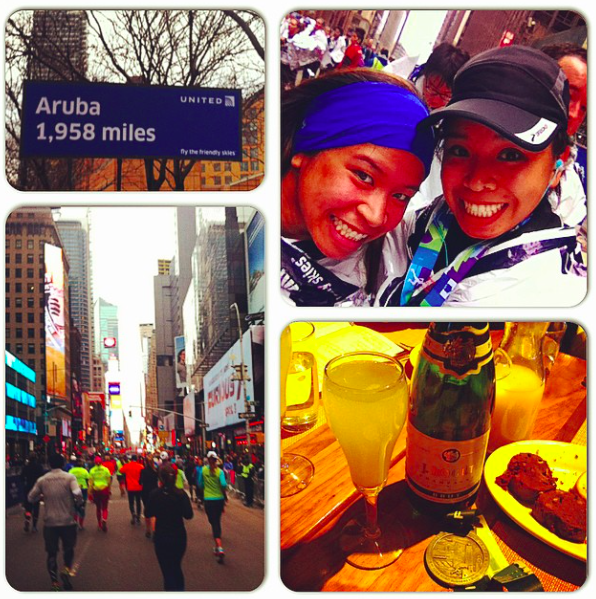 It’s my 3rd NYC but also my 12th half-marathon! I went Friday night and it was a mess. I mean it was packed like I’ve never seen before. I went to Mile High Run Club at 5:15pm then went uptown to pick up my bib. The expo was a big step up from last year’s. Last year’s was a step down from the year prior (2013). This year was a bigger venue and lots more vendors, which was great. 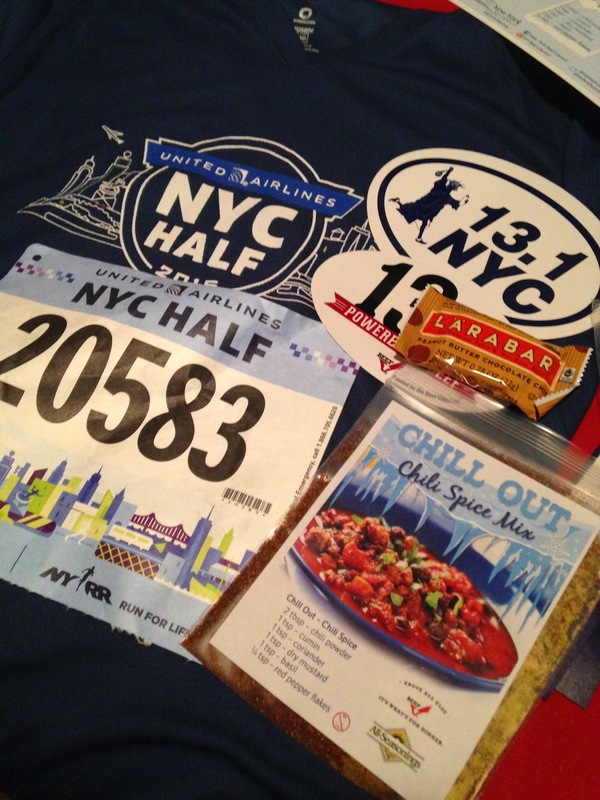 Since I went running before picking up my bib, I ate all the samples – Chia bar, Lara bars, etc. Plus I sat through a 30 minute race day strategy session. I ate all the carbs – a bagel for breakfast and pasta for dinner (which I had in the library). I spent most of my afternoon in the library before heading to the movies. I ended up seeing the Kingsman which I knew nothing about, except that Colin Firth was in it and so clearly I needed to see it. It was really good and hilarious and you should see it. I came home to my roommate’s Pi Day party of drunken pie antics. 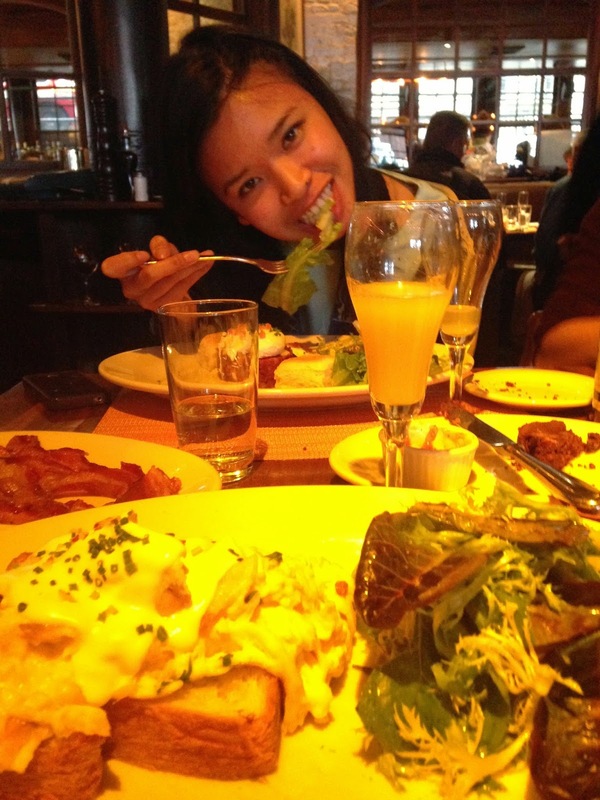 My sister was already there and drinking wine (WHAT!? before a race! but spoiler alert: she PR’ed by 6 minutes). I was in the last corral of wave 2, which started at 7:45am. My sister was in wave 3, which started at 8:10. I got up at 6:10am and left a half-hour later without my sister who needed to get her clothes together. I hate the F train so much. I got off the train at 57th street around 7:40am and jogged through security 2 blocks up. Even though the wave started at 7:45am, I technically didn’t start until 8:03am. I was going slow with the intent to run a negative split and I was doing just that looking at my split times. Because it was so warm when it started, I was getting hot which was new. The past two years that I have run the race, it has been freezing. This year, I wore shorts and one long-sleeved layer with a tank underneath. I refused to take off the long sleeved because I knew as soon as we left the park, it would be super cold and windy. Probably my favorite part of the course,we left the park and ran down towards 42nd street through Times Square. Always my favorite. Something that I noticed in Times Square and on the West Side Highway was the crowds. They’ve always been there but because of the relatively warm weather, they were really out cheering. Not my favorite part of the course but 1) it’s flat 2) street signs in descending numbers that tell you where you are 3) the views of the water and the Freedom Tower. I stopped every water station to get water and stretch my quads. They were so angry. Right before the mile 11 marker at Canal Street, I saw Lynette in the med tent. She gave me a hug and ran with me for a minute before going back to the tent. Right around mile 12, we entered the tunnel, which is freaky. Why? There’s no sunlight, no music, no anything except the sounds of runners and your breathing. I ran the tunnel without my headphones in because the echo sound of runners yelling was cool to listen to. As we got out of the tunnel, it was amazing how angry my quads were, especially the right one. I was hitting all my marks until the 15K mark (9.3 miles) and slowed down drastically through the end of the race. Quads were just not having it. The race went by fast, there weren’t any surprises of any sorts. Except the crazy quad pain. It’s amazing how this is my worst NYC Half time of 3 races but I prepared the most and ran the most for this. Go figure. 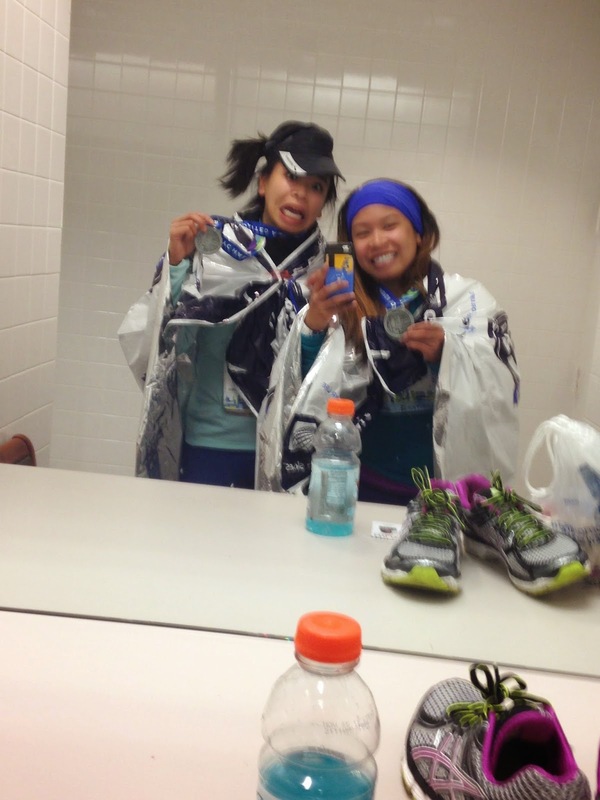 My sister finished right behind me and we met up for selfies and went to my office building for more selfies, heat, bathrooms, and stretching before brunch. Overall, I’m happy that I finished with a respectable time plus it’s my 12th half marathon and 3rd NYC half. Plus I have a new medal for my collection. I don’t have any races coming up until May – lucky #13 is the Brooklyn Half plus there are 18 weeks until the NYC Triathlon! 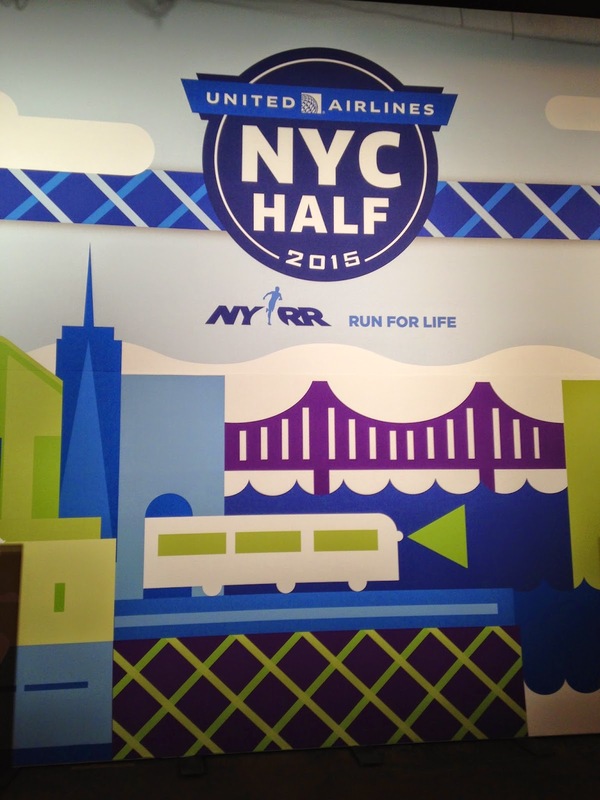 Who did the NYC Half today or raced this weekend? Best remedies for quad pain? Tell me about it. Wonderful trip!! I am sure you had great time over there. Thanks a ton for sharing your experience with us. We are also going to NYC for official holiday party. The planner has used so fun corporate holiday party ideas in this event. It’ll be a blasting event for all the employees.